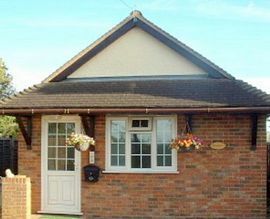 Mandalay is a bungalow, with all accommodation on ground floor level, but is not adapted for disabled users. 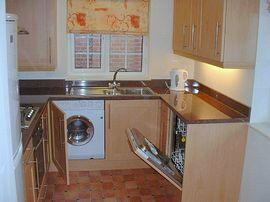 There is a modern fitted kitchen with washer/dryer, dishwasher, microwave, gas hob and electric oven. 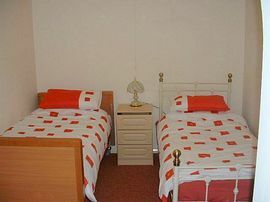 The bedroom has two single beds, one of which is electrically adjustable for height and posture, with deep memory foam mattress for those with impaired mobility or back problems, en suite shower. There is a separate WC off the hallway with vanity unit and basin. In the lounge there is Sky TV, DVD/CD player and radio, 2 sofas, dining table and 4 chairs, French doors lead to a small enclosed garden with patio table and chairs. The village is conveniently situated for M25/M11/M1 motorway links, under an hours drive from Heathrow and Gatwick and 25 minutes from Stansted and City Airports. Also convenient for those wishing to visit London, which is a 40 minute ride on the tube from Epping or by train from Harlow, Cambridge is a 40 minute drive away or 30 minutes by train from Harlow, Constable Country is 1.5 hours drive away, Oxford 2 hours. After about 3 miles you will enter the village, keep going until you see the Travellers Friend PH, the bungalow is approx 50 yds past on your right, there is normally a motor home parked outside, your allotted parking space is in front of the bungalow window. M11 southbound, leave at Junction 7 ( Harlow A414) follow signs for Epping. £390.00 max weekly price for Xmas and New Year only. Prices are for up to 2 persons. 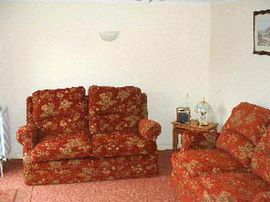 Short Breaks minimum £275.00 Friday to Monday / Monday to Friday. 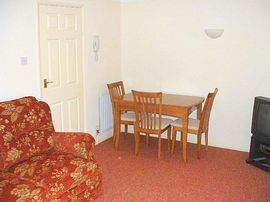 Short breaks £225.00 Friday to Monday / Monday to Friday.